Enes Kanter is a Turkish basketball player currently playing for the Oklahoma City Thunder team of NBA. He plays at center position, and stands at 2.11 m height. He is one of the most successful, and highest paid players in the NBA. 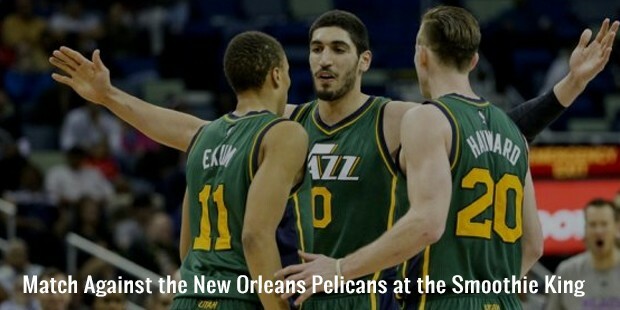 While Enes started his professional basketball career with Fenerbahçe Ülker team of Turkey, he has played for a number of NBA teams, including Utah Jazz and Oklahoma City Thunder. Born in Switzerland, Kanter's mother, Mehmet is a histology professor at the Trakya University. Before coming to the US in 2009, he used to play basketball for his school. He has also played approximately nine games for Euro League and Turkish Basketball League. He was offered professional contracts by both, Olympiacos and Fenerbahce, but he refused because he wanted to play college basketball in the United States. 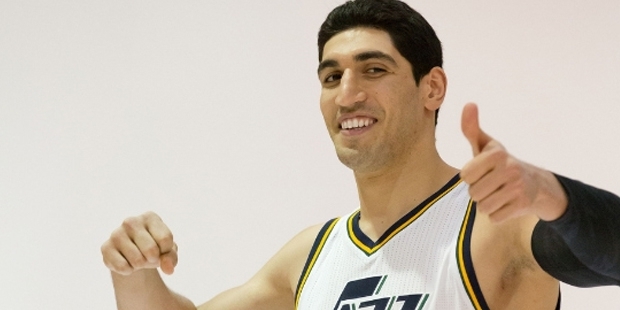 Enes kanter's stint with basketball started when he was just 14 years old. 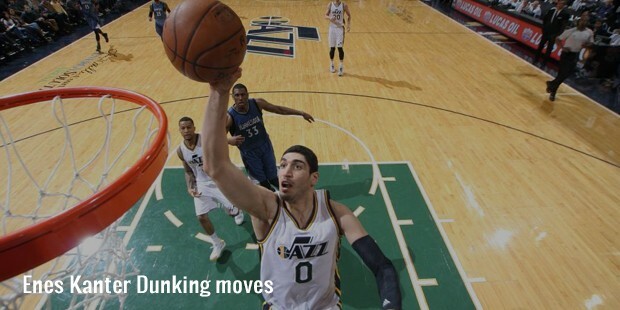 While was studying in Stoneridge Preparatory School, California, Enes played for the school’s basketball team, and recorded 13 rebounds and 34 points in the Nike Hoop Summit. In 2009, he declared that he would play for Washington Huskies, but later signed a contract with the Kentucky Wildcats. Less than 25 years of age, and he is one of the most successful basketball players in the history of NBA. Both Scout.com and Rivals.com have ranked him as a 5-star talent, at the top center in 2010 recruiting class. Enes' excellent on-field skills and performance has earned him much popularity. After starting his professional basketball career in Turkey, Enes Kanter moved to the US, where Utah Jazz selected him in the first found third pick overall, of the NBA Draft 2011. As a rookie in 2011–12, he became just the 10th Jazz rookie in franchise history to appear in every regular season game. 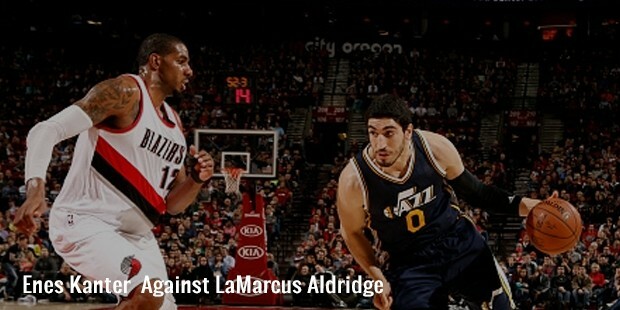 He also recorded the most rebounds for a Jazz rookie on debut with 11 against the Los Angeles. In 2015, he was traded to Oklahoma City Thunder in a three-team deal including Detroit Pistons. In his debut for the Thunder, Enes recorded a double-double with 10 points and 13 rebounds in a 110-103 win over the Charlotte Hornets. After the season of 2014-15, he became a restricted free agent. 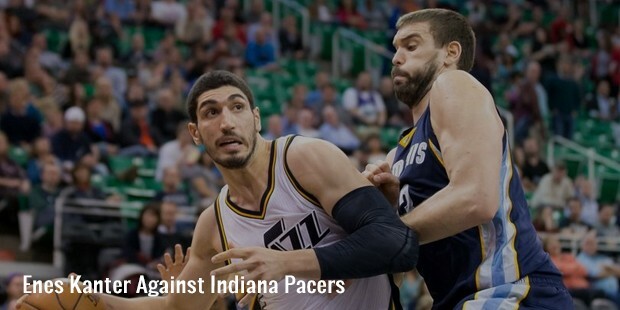 Enes Kanter's is popularly known as ‘Underkanter’. He likes watching wrestling, and Spongebob Squarepants is his favourite TV Show. He plays ping pong, and loves eating salmon. His hobbies include dining out, playing video games and hanging out with his teammates. Enes says that if he was not a basketball player, he would probably have been an astronaut. He has a cheerful nature, and always meets people with a smile on his face. 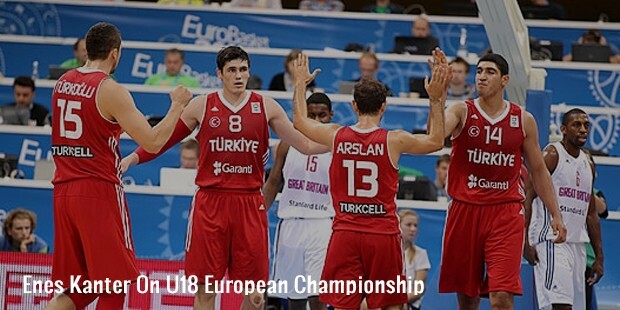 Enes Kanter won a Bronze medal in U16 Division at European Championships in the year 2008. In 2009, he was named the Best player and Centre for European Championships, and also achieved the FIBA Europe Under 18 Championship MVP.